The Frenchman appeared in the tenth issue of Global Frequency, “Superviolence”, published in 2003. This entry has S P O I L E R S for it. 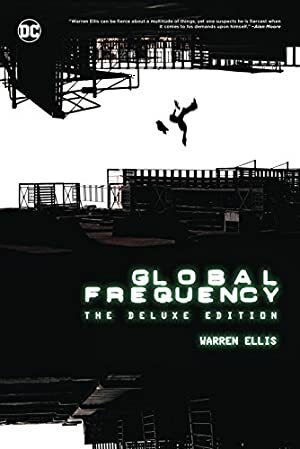 Global Frequency (written by Warren Ellis) only ran 12 issues from 2002-2004. But it remains one of my all-time favourites. This writeup should be read after the Miranda Zero character profile (wot explains the Global Frequency). Height: 5’11” Weight: 165 lbs. As Aleph not-entirely-helpfully mentions, the Frenchman is “into that biofeedback thing”. Biofeedback is using tech to monitor certain biological indicators such as an ECG, then using concentration exercises to change those. It is primarily explored to compensate for damaged biological functions. In the real world, consistently establishing efficacy has proven a challenge. Nous, on pensait que ça pouvait être un traîneau. Enhanced strength, sufficient to rip a man’s arm off its socket. The ability to greatly diminish pain and other physiological shocks. Greatly diminishing bleeding, even internally. Enhanced ferocity and killing instinct. Accelerating healing. This may extend to a small power of regeneration, as the Frenchman seemed unconcerned with, say, losing teeth. The Frenchman is nigh-impossible to stop using ordinary levels of strength. Even solid hits using handguns or thrust daggers would delay him for but 30 seconds or so. He once tore a bullet free from his chest (presumably to avoid infection). 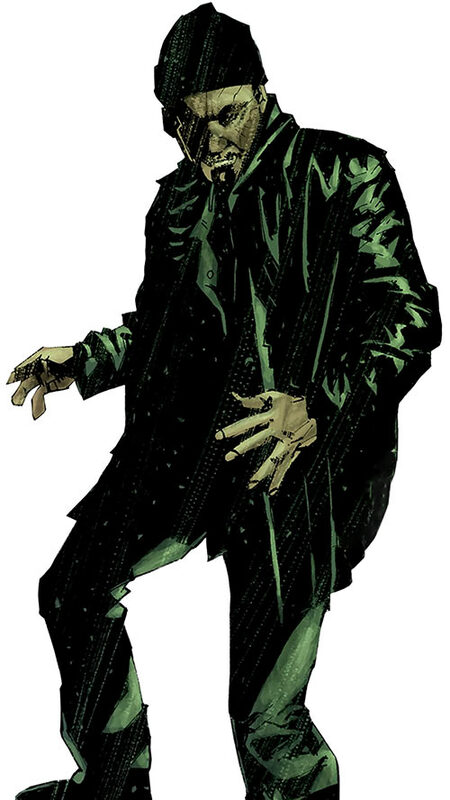 His foe Mr. Wellfare, who used similar techniques but at a lower level, could slay a five-person Global Frequency kill team. 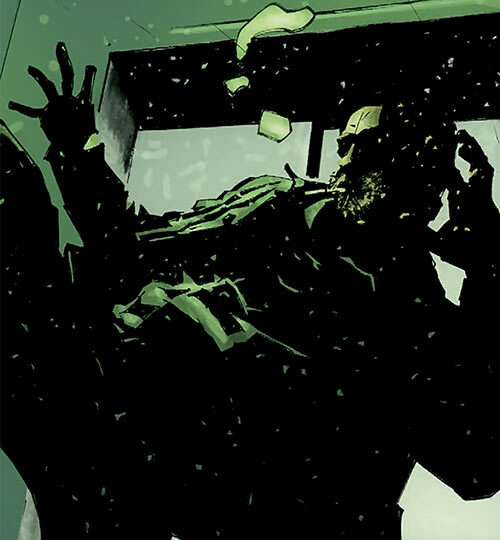 Since this occurs off-panel for worfing purposes, these operatives likely weren’t as tough as the likes of Jia Lau, Lightning and Pommie Girl, or Mister Grushko. But they still had to be competent enough to be on the Frequency. The Frenchman doesn’t normally bother carrying weapons. During the “Harpoon” case, he’s seen holding a small arm, perhaps a shotgun. Alors une, tu poses mon bouquin d’exercices isométriques tout de suite ! The closing words of “Superviolence” are that the Frenchman was out for blood because Mr. Wellfare had stolen his girlfriend’s book on biofeedback. This may have been intended to convey that the Frenchman is scary and weird. The Frenchman’s girlfriend wrote a book on biofeedback. It contains genius-level research into using such techniques for superhuman feats. The book was never published. It was her research journal. Only one copy existed for security reasons. The Frenchman was the experimental subject for these techniques. He and his companion are the only persons in the world to master them. Mercenary Lionel Wellfare stole the book. It allowed him to learn the special biofeedback techniques. But it also meant losing years of research logs, angering the Frenchman and his girlfriend. Lessee, what was on the French billboard in 2003… oh lawdy. This is awful. Mmm, digging way down, Mickey 3D is cool – but you have to sling the lingo. Ah yes, Kaolin’s first single is suitable. C’est pas mal, in a grunge rock way. The Frenchman is only ever called that. Presumably, his actual name is too hard to pronounce for Anglophones. He’s been on the Frequency for years. One past case (rescuing a VIP from a burning building in Lisbon) was mentioned. His foe Lionel Wellfare, using similar biofeedback techniques, clashed at least once with the Global Frequency. He killed at least five agents, but was eventually reported dead. The Frenchman is also known to have attempted to kill Wellfare once. That was in Algeria, in unchronicled circumstances. D’ailleurs, il faut pas rester debout, asseyez-vous, mettez-vous à l’aise. In 2003, Wellfare turned up alive. He had been hired by Nagelmacker Security (NS) to raid a US biowarfare lab. He was to kill everyone within and start a minor biowarfare agent release. This would make NS’s competitor protecting the lab look incompetent, and allow for a new round of bidding on these lucrative security contracts. Miranda Zero immediately had the Frenchman flown from Paris to Texas. She insisted that he be the only person allowed into the lab, which he too preferred. The Frequency reacted quickly enough that when Wellfare broke into the lab, the Frenchman was there waiting for him. The Frenchman engaged Wellfare in exceptionally brutal and gory close combat. Though Wellfare did have the upper hand at some points, it seems that his opponent was holding back to prolong his suffering. When the Frenchman decided that enough was enough, he ripped Wellfare’s arm from its socket and killed the merc by jamming it down his throat. The Frenchman also took part in the “Harpoon” operation. He was on Miranda Zero’s kill team, along with John Stark, Mister Grushko, Alice April and “Avigail”. During this deployment, the Frenchman was the rear security man. The Frenchman wears rugged outdoors clothing. 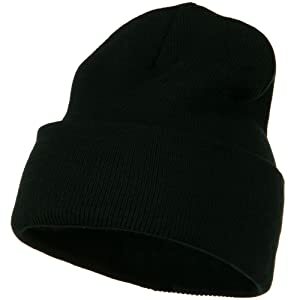 Dark grey fatigues and T-shirt, robust leather boots, an unbuttoned floral shirt, a tough leather jacket, and a black woolen hat. He’s a White dude with a light brown circle beard. His general appearance was somewhat reminiscent of Jean Reno’s character in The Professional, albeit without sunglasses. And with a Max Payne sartorial vibe. He’s frequently seen smoking cigarettes, and doesn’t speak much. He’s generally fluent in English, but this is clearly a second language. He tends to exclaim in French, and his English grammar can be a bit off. A strange, scary man. He is completely devoid of fear, ignores pain, and fights with unbelievable brutality. If angry, he’ll go to the ends of Earth to pursue his vendetta with maximal prejudice. However, it seems that Wellfare particularly offended him – and that the Frenchman isn’t usually a slaughter engine. Plus, he chose to work with a rescue organisation. Both the Frenchman and Wellfare sought to eat their opponents’ body part, even during combat. For instance the Frenchman enucleated Wellfare’s right eye then gobbled it up. It may be part of their conditioning to ignore visceral reactions of disgust. (Laughing) “It is like your Yankee wrestling television for children, hein ?” (picks up a nearby metallic folding chair, starts bashing Wellfare with it). Dex: 05 Str: 06 Bod: 06 Motivation: Responsibility ? Had a SIH of Lionel Wellfare, but he’s good now. Global Frequency Phone [BODY 04, Radio Communications (Scrambled): 19, Misc. Advantage (Allow Remote Sensing from Central Operations)] and a pack of cigs. On va manger des chips ! T’entends ? Des chips ! The Frenchman could easily have other Skills, Advantages, etc.. He only appears in an extended brawling scene, so there was no room to demonstrate less brutal talents. 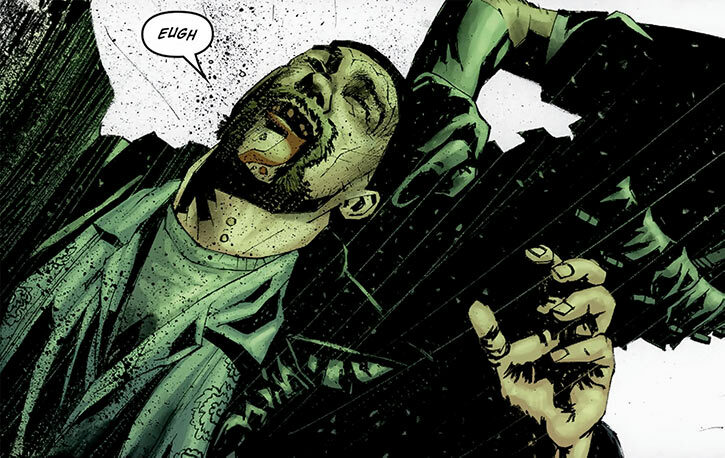 In a low-powered, low-Hero-Points setting, BODY 06 is monstrous. See the Fallout deathclaws profile for the maths about that. Source of Character: Global Frequency Vol. 1 #10. Writeup completed on the 20th of November, 2018.